Ensaf Haidar — the wife of jailed Saudi blogger Raif Badawi — says she's worried about what will happen to her husband now that Saudi Arabia is expelling Canada's ambassador. 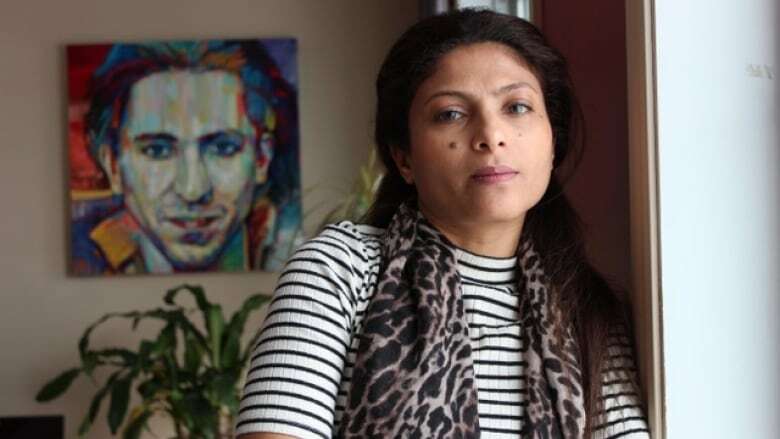 Ensaf Haidar, the wife of jailed Saudi blogger Raif Badawi, says she's worried about what will happen to her husband now that Saudi Arabia is expelling Canada's ambassador. The move comes after Canada criticized the country for its arrest of women's rights and civil society activists, including Badawi and his sister Samar, who was arrested last week. The country is also freezing all trade and investment transactions with Canada. "It's alarming news to me. It came as a surprise," Haidar told CBC News Sunday night, saying she still isn't certain what impact the dispute will have on her husband's situation. She said she hopes Canada will continue to pressure Saudi Arabia on human rights abuses, including her husband's case. ​The Saudi government gave the Canadian Embassy 24 hours to vacate, and its staff to leave the country, in reaction to a tweet by Global Affairs Canada on Friday. "Canada is gravely concerned about additional arrests of civil society and women's rights activists in Saudi Arabia, including Samar Badawi. We urge the Saudi authorities to immediately release them and all other peaceful human rights activists," the tweet said. Saudi Arabia's foreign ministry said on Twitter Sunday that it now considers Canada's ambassador, Dennis Horak, "persona non grata." For Haidar, it's one more obstacle in her fight to free her husband. "I've been waiting for six years. My [three] children have been waiting for six years. I'm always waiting and, unfortunately, I don't know when I will be able to stop waiting," she said. Geneviève Paul, an official with Amnesty International, said Saudi Arabia's reaction should not cause Canadian foreign affairs officials to buckle. "We shouldn't cave in," Paul said in an interview on CBC Montreal's Daybreak Monday morning. "The level of persecution for activists in the country at the moment is unprecedented." She said she was aware Canadian officials had exercised a significant amount of "silent diplomacy," including phone calls and closed door meetings with Saudi officials, to no avail. "It is also important to speak out and, clearly, the aggressive response from the Saudi government shows that they're well aware that they have serious human rights problems." Paul called the move by Global Affairs Canada, which is headed by Foreign Affairs Minister Chrystia Freeland, "justified and necessary." 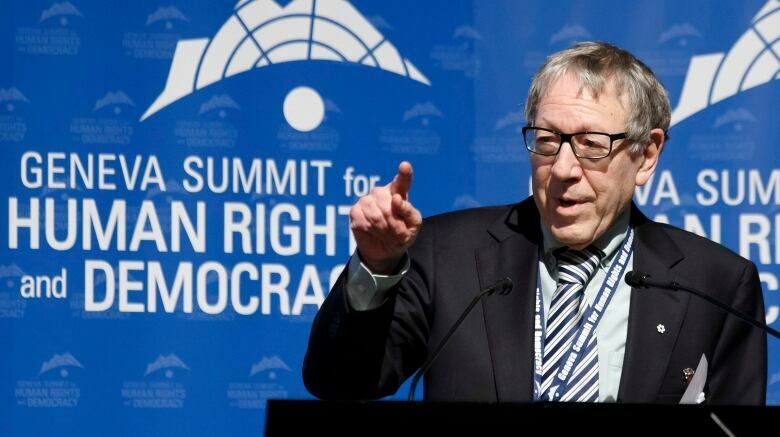 Former MP and international human rights lawyer Irwin Cotler, who has been advocating for Badawi's release, says he believes a "mobilization" of countries will soon come out in support of Canada and that the Saudi Arabian kingdom will come to "realize that it's hurting them in the international community as well as at home." He says the move by the kingdom, which includes calling Saudi Arabia's exchange students in Canada to come home, is "self-defeating and appears to be an expression of a hypocritical public policy." Canada's Ambassador to Saudi Arabia Dennis Horak said there are about 16,000 Saudi students in Canada. The imprisonment of activists like the Badawis, Cotler said, is contrary to the very reforms Crown Prince Mohammad bin Salman has been promoting in Saudi Arabia, including women's right to drive — something Samar Badawi had called for. Cotler pointed out that the country has so far not cut diplomatic ties, so Canada could continue to advocate on behalf of human rights. With the tweet, Cotler said, "Canada is effectively saying, 'We support what you are seeking to do, Mr. Crown Prince, with regard to a reformist Saudi Arabia but you are breaching your own undertakings both personally and internationally.'"